Happy New Year (belated), as the new year turns, so does a new decade and I had a wonderful opportunity to do a visioning session with 6 other lovely womyn on Sunday Jan. 3rd in my studio space..the energy was vibrant, alive and full of positivity and possibility... 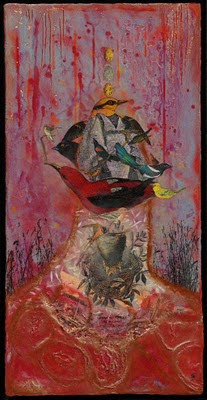 I find myself still enthralled in this energy of visioning. 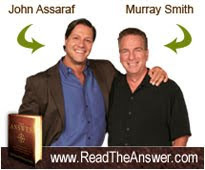 I have been engrossed in this fabulous book called"The Answer - Grow Any Business Achieve Financial Freedom, and Live an Extraordinary Life" by John Assaraf and Murray Smith...it is an inspiring and I believe a life changing book. Besides that it makes me feel such joy just reading it....I highly recommend it. I am so grateful to my good friend Tracy for this gift, which I received on my 40th, almost 2 years ago....better late than never. 1. Find more balance in my everyday living, to live a more holistic life - yoga, walking, art, reading, home and family time and time with friends, travel and find moments for silence and solitude. 5. To appreciate and give thanks, gratitude weekly. Happy New Year Supria! Beautiful work (as always) and inspiring goals for the new year. I'm right there with you. Wishing you a belated happy new year. Beautiful piece in this post! !